Become aware of the true value of a product, by realising how it was made. And by whom. Our Nicaraguan leather workshop is owned by Jeyson and his family. Together with his mother, he owns the workshop as well as a stand on the famous Masaya market. We have been working with Jeyson since the start of ROOTS & SOUL and it is always a pleasure to visit him, the craftsmen and craftswomen, and his family. Together with Jeyson and his craftsworkers, we produce a collection of bags and accessories. We work with leather that is produced in Central America, which comes from small farms and is vegetable tanned. Mario and his team are one of a kind. They are responsible for hand printing (silkscreen printing) our logo on a canvas patch or directly onto our products. Mario and his colleagues are always smiling and the radio is usually tuned to an 80’s channel. More still than the atmosphere in his workshop, we really love and appreciate the amazing craft of silk printing. We are therefore excited to say that we use silkscreen printing, arguably the most versatile of all printing processes, for all our prints. Of course, it is also a classic way of printing, and produces very sharp results. 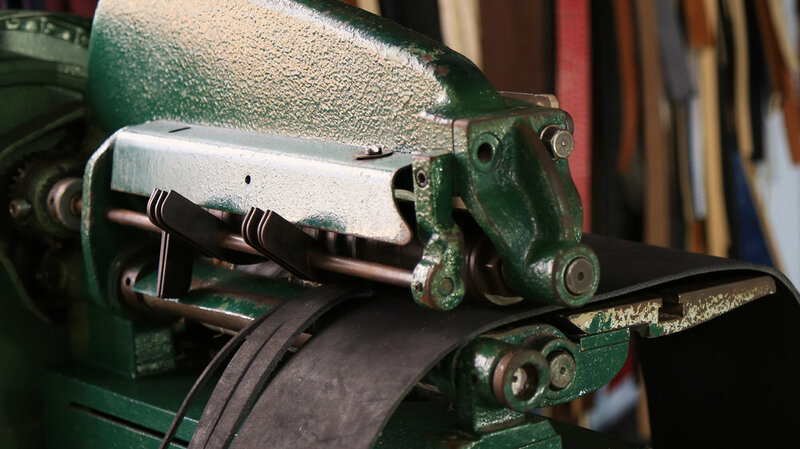 We strive to support local craftsmanship and Gilbert knows what craftsmanship truly means. The bronze stamp with our logo – which we use to stamp our leather products, for example - is made by him, in an extensive artisanal process. 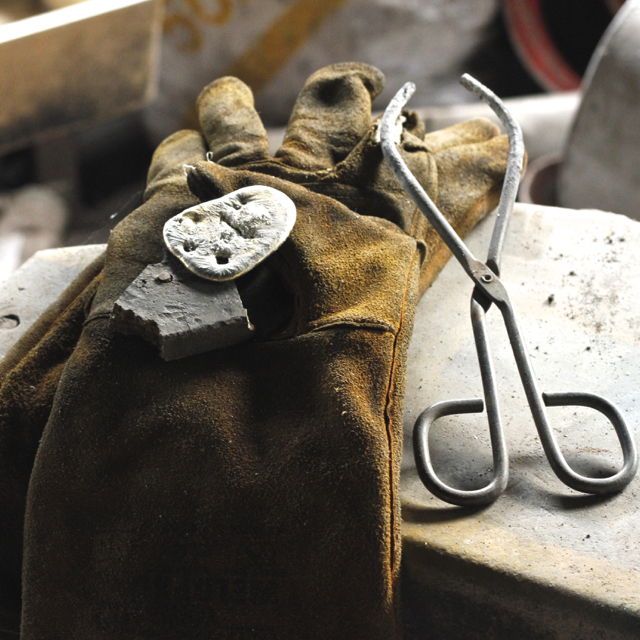 In his metal workshop, Gilbert melts, moulds, treats and hand polishes the different types of metal until they become their crafted end product. In our case, that is the ROOTS & SOUL logo stamp. He is a very happy and goodhearted guy. Technology is catching up on him, which is why we want to support his business and honour his talent and the craft that he is keeping alive. Visiting this workshop feels like visiting a group of old friends. In their weaving-mill, Huber and Lilia provide a happy and safe workplace for an amazing group of women. They treat each other (and us) like family and even though their job isn’t easy, you are very likely to find them chatting, laughing and cracking jokes. Huber, Lilia and their team weave beautiful and complex patterns by hand and also by foot! (by using pedals at the same time). The entire weaving process, from a single thread to a throw or a blanket, is completely done by hand. It is an intensive and valuable process that deserves a fair price as much as true appreciation. We met Catalina while searching for new artisans in Colombia. She is a very talented young woman, who makes beautiful accessories of high quality. We have worked together with her to create new designs and expand our leather collection, using organic canvas and vegetable tanned leather. Catalina runs her own business and is very consistent and skilled. We love to support her business and talent.